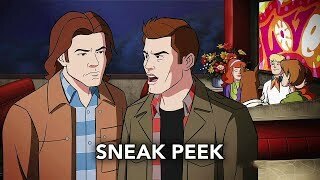 Supernatural 13×16 “ScoobyNatural” Season 13 Episode 16 Sneak Peek #3 – JINKIES! 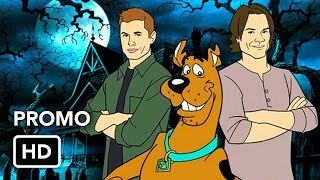 “SUPERNATURAL” GETS ANIMATED WHEN SAM, DEAN AND CASTIEL ARE TRANSPORTED INTO THE WORLD OF SCOOBY DOO – Sam (Jared Padalecki), Dean (Jensen Ackles) and Castiel (Misha Collins) are transported into the animated world of Scooby Doo where they join forces with the Scooby gang to solve a ghostly mystery. 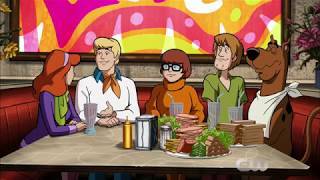 Robert Singer directed the episode written by Jim Krieg & Jeremy Adams (#1316). 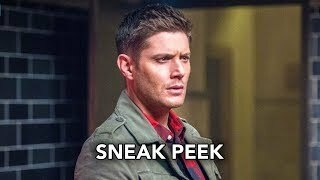 Original airdate 3/29/2018.